Gracia's shape is simple and soft, formed by a curve thought to glorify what stays on the inside. 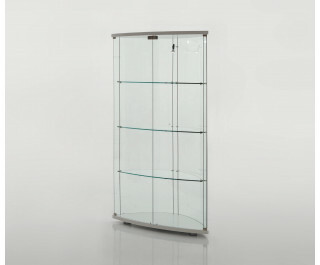 Wood holds and thickens the base and the top, while curved glass softly follows the lines made by the nack and the doors. The built-in LED light enrichens this object even more.